Most people have some kind of idea of what layering clothing is about – if it’s cold, you put more layers on to keep warm; if it’s warm, you wear fewer layers to stay cool. However, there’s actually much more to it than that, and it’s important that you layer clothes properly to ensure they work in the right way and you stay at a safe and comfortable temperature. What is the layering system? The layering system is the process by which you should layer your clothing in order to successfully regulate your body temperature depending on the conditions. Of course we most commonly think about layering when it comes to staying warm in cold weather, but it also gives us the ability to adapt to warmer weather should we need to when out hiking, climbing, etc. Layers are usually categorised into three sections: base layers, mid-layers and outer layers. However, there can be additional layers depending on what activity you’re doing. Each layer has a different job to do, but the overall goal is to trap air in between each layer, which acts as insulation and keeps you warm. This is why it’s better to wear several thin layers than one thick one. However, it’s also important that the layers allow moisture to escape away from your body or you’ll feel damp and cold. 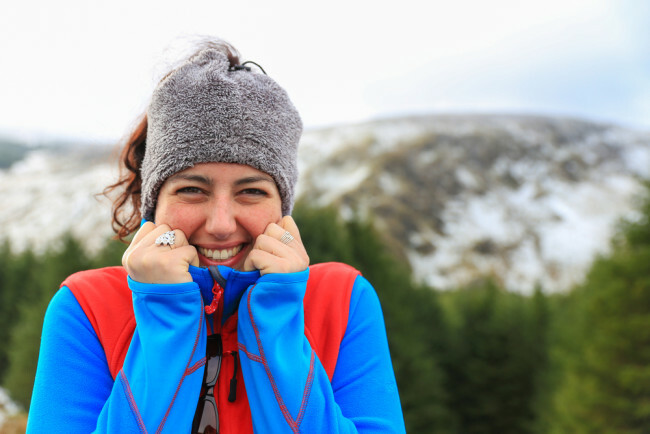 This might sound a little daft – we’ve already said that layering is about regulating your body temperature, but it’s important to understand more about how and why we get cold and how layering actually works. In short, if we become too cold when outside, then we can get into serious trouble, putting ourselves at risk of hypothermia, frostbite, and other conditions. Likewise, if we become too warm, we can become dehydrated or suffer from heatstroke. Why do we get cold? Radiation – We naturally create and give off heat, and if we’re not careful, we give off too much and we get cold. You’ll often hear people say we lose most heat through our head, which is both true and false – we actually lose most heat through our chest and torso (that’s where our internal organs are), but because those are usually covered, we lose a higher percentage through our head. That’s why it’s important to wear a hat. Evaporation – Our body’s built-in cooling system is to sweat when we get too warm, and when the sweat evaporates, it cools us. However, if you’re in a cold environment, you may lose too much heat through evaporation and not be able to warm yourself fast enough. This is why breathable clothing is important when doing outdoor activities – the moisture can then be moved away from your body. Clothes that retain moisture, such as cotton t-shirts, keep sweat (or water) closer to your skin which can make you cold. Convection – Convection cools us down by cold air coming into contact with us, warming up and then being replaced by a new lot of cold air. This constant supply of cold air to your body will end up lowering your body temperature unless you can insulate yourself. Conduction – This is where you lose heat by touching something that’s colder than you. Your heat then transfers to this object, and its cold comes the other way. 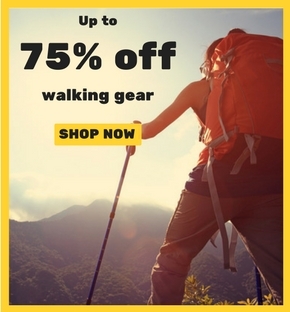 When hiking, your feet will be in constant contact with the ground, making good quality walking boots and socks essential, while climbers need to be wary of their hands getting cold. 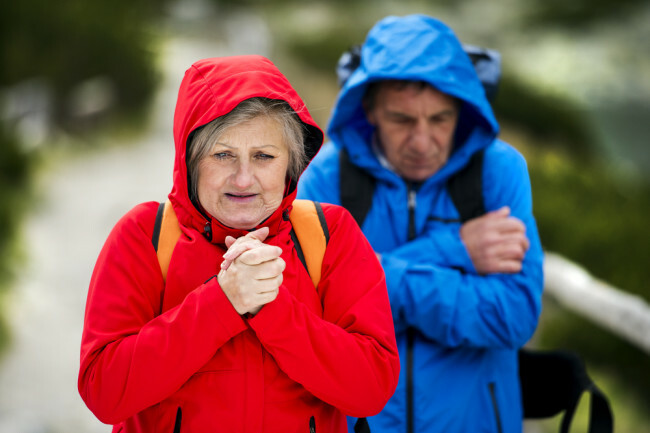 Cold rain, sleet or snow will also make you colder as conduction occurs when each drop hits your skin. The layer that goes against your skin. Traps air against your body. Must allow moisture to wick (move away from) the skin. Can be worn on their own on warm days or during intense exercise. Do not wear a t-shirt as a base layer as they retain moisture which can make you cold. Worn over the top of a base layer. Acts as insulation, trapping warm air in and keeping cold air out. 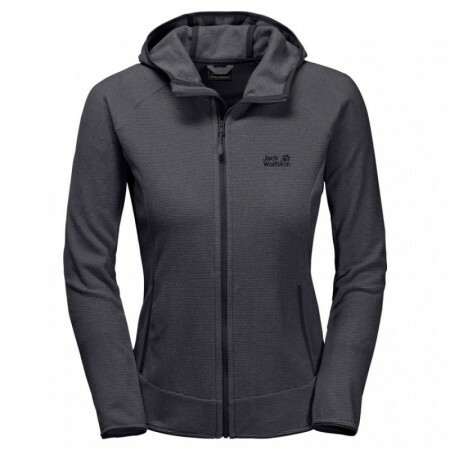 Like base layers, mid-layer should be breathable to allow moisture to wick from the body. Fleeces & softshells make ideal mid-layers. 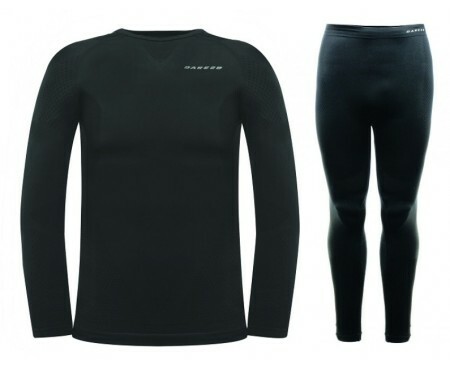 Good to wear with just a base layer for mild weather and light exercise. Stylish enough to wear for everyday use. Worn as the outermost layer, over the top of the mid-layer. Depending on your activity, can be waterproof, windproof or insulated. 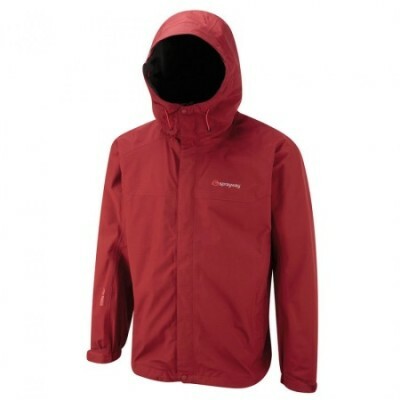 A breathable outer layer is ideal, with a membrance such as GORE-TEX – which is waterproof and breathable. Should be lightweight and easy to pack away as needed. Learn more in our waterproof jacket buying guide. 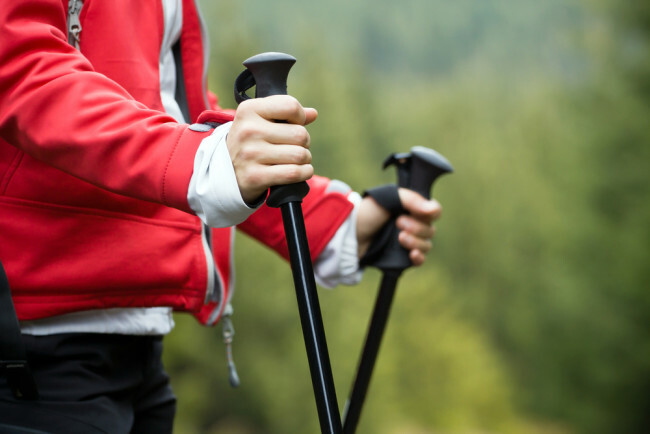 Of course, you aren’t limited to just three layers, and you should adjust the number of layers you use according to the weather and the level of exercise you’re doing. For example, you may want an extra layer of insulation between the mid-layer and outer shell in extra cold weather. Similarly, if it’s warm and wet, you can leave out the mid-layer and just use a base layer and outer layer. You can also use different types of tops and jackets for each layer (apart from base layers). 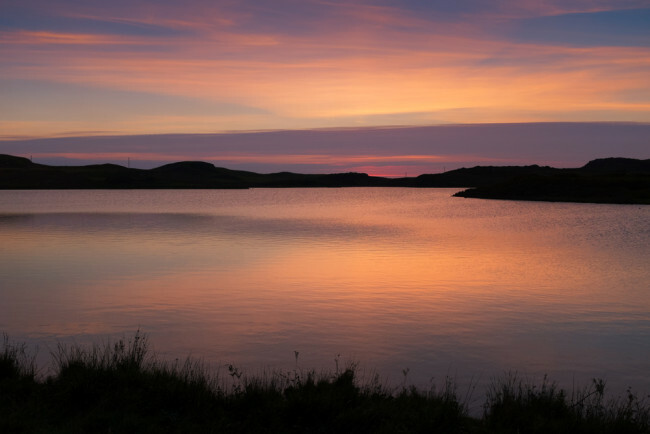 So, you can use a softshell jacket as your mid-layer, but as they offer a decent level of breathability and waterproofing, they can sometimes also be used as an outer layer. The type of activity can also affect this. If you’re climbing then you don’t want to be encumbered by thick layers, so more lightweight clothing is preferable, while when hiking this is less of an issue. 3 in 1 jackets are a waterproof coat with a detachable inner fleece, making them a great way of combining a mid-layer and an outer layer. It’s easy to attach and detach the fleece, and because they’re part of the same garment, you know they’re going to fit well. All you need is a base layer to go underneath. Check out our 3 in 1 jacket buying guide to learn more about them.